Piglets Cottage in Canaston Bridge, near Narberth, Pembrokeshire sleeps 4 people. Piglets Cottage near Narberth is perfect for that family getaway and is located near the historic market town of Narberth and the hamlet of Robeston Wathen, within the rolling Pembrokeshire countryside. It is aptly named as it was a former piggery on the owner’s smallholding and has been lovingly restored with a fantastic position overlooking green meadows and Canaston Woods, which is perfect for walkers and mountain bikers alike. Attached to the owner’s home, the property has been lovingly furnished throughout and offers a great standard of accommodation. Enjoy cooking that special meal in the open-plan, galley-style kitchen, dining and living room, which has patio doors that lead onto a private patio where you can enjoy a nice chilled glass of wine after a busy day exploring whilst watching the sun set. Both bedrooms have been lovingly decorated and have en-suite facilities, making this property perfect for families and children alike. Within the beautiful town of Narberth you can enjoy a swimming pool, art galleries and gift shops, as well as a creative café where you can paint pottery and take it home with you! 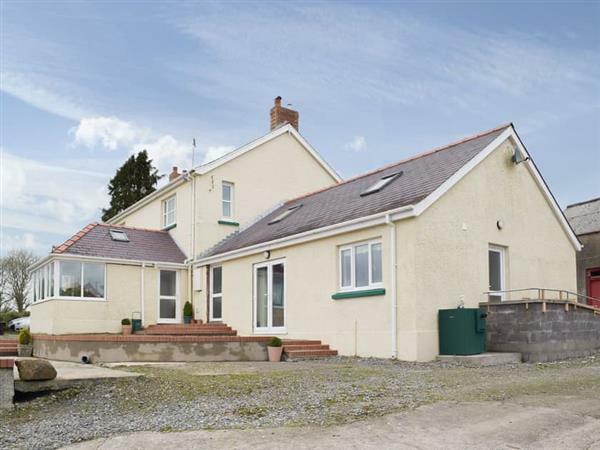 There are several sandy beaches locally, including Tenby, Saundersfoot and Amroth, so this cottage is ideal for both the coast or countryside. Locally you can explore the castles of Pembroke and Carew, or visit Oakwood Theme Park, the Blue Lagoon Waterpark, Folly Farm Zoo and Heatherton World of Activities to name a few. For keen golfers, Haverfordwest Golf Club is only 10 minutes away from Piglets Cottage, or travelling south is the famous coastal resort of Tenby which is perfect for a family day out with sublime beaches, cobbled streets, boat trips, the Tudor Merchants House and the Cistercian Caldey Island, one of Britain’s holy islands. The beach is 10 miles from Piglets Cottage near Narberth. With the shop 500 yards, and the pub & restaurant is 200 yards from Piglets Cottage. Living area: With 32 Freeview TV, DVD player and patio doors leading to patio. Kitchen area: Galley style with electric cooker, microwave, fridge and freezer. Bedroom 2: With twin beds and en-suite wet room with shower, toilet and heated towel rail. Oil central heating, electricity, bed linen, towels and Wi-Fi including. Travel cot and highchair available on request. Welcome pack. Patio with sitting-out area and garden furniture. Private parking for 2 cars. No smoking. Holidays at Piglets Cottage run from Friday to Friday. For a better idea of where Piglets Cottage is, you can see Piglets Cottage on the map below. Piglets Cottage is in Dyfed; should you be on the lookout for a special offer, you can find all the special offers in Dyfed. It's always worth checking to see what is on offer at the moment. Do you want to holiday near Piglets Cottage (UK10666), you can see other cottages within 25 miles of Piglets Cottage; have a look to find your perfect holiday location.